Creating a website doesn’t have to be complicated, with these simple steps you will be off to a great start! The first step to creating a website is to buy a web domain. There are multiple kinds of domains that you should be looking at to see which would be the best fit for your site. 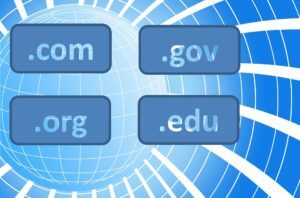 There are commercial sites, networking sites, organization sites, and then less common domains such as educational and government sites. While there are no rules to which domain you must use, there are general guidelines that you can follow. Commercial sites are used for both personal use and business use. Networking sites can be used for the same as commercial sites; however, they were originally used for internet networking. Organization sites are for non-profit organizations, but the same rule applies here, you do not have to be a non-profit to use this domain. After choosing which domain you feel would fit right for your website, you now need to think of a domain address. This is the part of the domain that comes before the “.com.” You can use either your company’s name or your own name depending on the kind of website you want to run. Once you’ve picked out a domain, make sure it’s not already taken. Then you can go to domain-selling sites like Shopify, GoDaddy, or Google Domains. The next step in creating a website would be to choose a layout design that would fit your site. Take into consideration your preferred font type, color schemes, how many different pages you want, and where you want your about and contact information. Font type can affect readability and first impressions on your site. As for color schemes, choosing cool tones or warm tones will give different impressions and set different professional expectations for your site. Warm tones are energizing and positive, while cool tones are calming and relaxing. Choosing a web page layout can be the most difficult part of creating a website because you’re choosing where to put information, and what the visitor will see first. This can be intimidating to some because you’re having to categorize all of your site’s information from most important to least important. While you’ll never want to see any of the information on your site as irrelevant, you do need to filter out what is most intriguing and eye-catching and stick it at the top. Make sure your homepage is interesting enough to keep the visitor engaged and looking at the rest of your website. Give the important facts about your site first then share details further down the page. Keep your website intriguing and the visitor informed. There shouldn’t be a page on your website that doesn’t let the reader learn something new about yourself or your company. Give them facts, offer them deals, inform them on what you’re selling, or tell them who you are. The number of pages can affect the user’s impressions of the site, such as giving an overwhelming impression if there are too many pages to look at. Keeping your website minimal will improve the overall appearance and make it easier to maintain. Don’t let this discourage you from having multiple pages, because having only a homepage can put too much content on a page and give an overwhelming feeling. Once your site is looking good enough to share with others, you should look into editing the coding of your site to increase search engine optimization (SEO). This will make your site more visible on Google’s search engine. If you’re not using a site that can assist in SEO, don’t fret. You can do so by going to your site’s settings and editing your site description and keywords. Think about what your visitors would be searching for to find your website. Google indexes a website around three days after you update it, so you should wait at least a week to see what your traffic will be like before making the decision to make any changes to your site’s page or SEO. 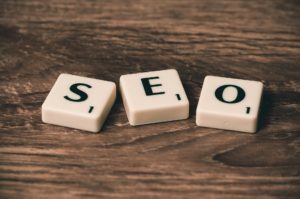 Switching up your keywords and tags for the SEO can give you a better understanding of which keywords will increase traffic and which ones decrease it. Once you get a good idea of which keywords to use and how to best organize your site for the best traffic. You can continue to update and improve your website to increase traffic and build your website’s popularity.